The Yale Club of Dallas is North Texas's chapter of the Association of Yale Alumni. 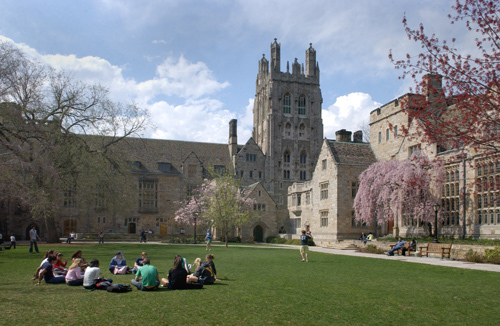 We are open to all members of the Yale family including students of Yale College and Yale's Graduate and Professional Schools both past and present, parents, widows, professors. Our mission is to empower Yale alumni to have a positive impact in the Dallas community. The Yale Club of Dallas first met formally in 1946, at least to according to evidence in our alumni records. Our Club's history is being compiled now, and we encourage interested alumni to contact the President with any information they may have. The above information is from our last printed alumni directory in 1996. The list included this caption: "Editor's Note: The list above was compiled from the best sources extant. Errors, omissions, and oversights are unintended. It is known that the first meeting of the Club was in 1946, but the records of the earlier years are not available." This list is incomplete and will grow as we learn more from our alumni. Please email the President if you have additional information about our Club's officers, directors, or its history.